If you’ve been charged in a case involving a marijuana grow operation, you are probably facing at least two charges: Production of a Controlled Substance contrary to s.7(1) of the Controlled Drugs and Substances Act and Possession of a Controlled Substance for the purpose of trafficking contrary to s.5(1) of that Act. If there was a hydro bypass in place at the residence or commercial building in which the grow operation was located, you are probably charged as well with Theft of Electricity contrary to s.326(1) of the Criminal Code. Recent years have seen the introduction of minimum sentences of imprisonment for this particular offence if certain preconditions or circumstances exist. It should be noted that the prosecution must prove the existence of any of these preconditions or circumstances beyond a reasonable doubt. Even if these aggravating factors are indisputable, in some cases, if plea negotiations are being conducted, the prosecution might be persuaded not to allege a circumstance or precondition in order to avoid a more onerous mandatory minimum sentence than might otherwise be imposed. Other possible avenues for avoiding a minimum sentence are described in the Alternatives to Jail section below. 6 months’ imprisonment for operation for the purpose of trafficking consisting of five to 200 plants (Note: This mandatory minimum sentence has been found to be unconstitutional). There are other penalties as well. If there has been a hydro diversion at the residence, you may also face a restitution order in respect of the stolen electricity. Furthermore, on a first offence, Section 109(1)(c) of the Criminal Code now requires a court to prohibit you from possessing firearms for a period of ten years from the date of your release from imprisonment. Property seized may also be subject to forfeiture. Any marijuana seized will of course be destroyed and, in the event of conviction, any grow equipment will be forfeited. Seized money may be subject to forfeiture as proceeds of crime. In some cases, the building or residence itself used to grow the marijuana may be subject to forfeiture as proceeds of crime or “offence-related property”. See Recovery of Seized Property. There are no alternatives to jail if you are found guilty of Production of over 5 marijuana plants. There are, however, possible ways to negotiate a plea bargain to avoid the mandatory minimum sentences. For instance, those charged with Production of Marijuana for the Purpose of Trafficking are almost invariably charged with Possession of Marijuana for the Purpose of Trafficking as well. In some circumstances, the prosecutor might be prepared to “stay” or “drop” the Production charge in exchange for a guilty plea to Possession for the Purpose of Trafficking. While mandatory minimum sentences will apply in some circumstances for that offence as well, it is easier to avoid them. See the Drug Trafficking and Possession for the Purpose of Trafficking section for the range of available sentences for that offence. 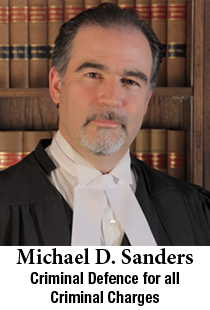 The two most common defences to all three of these charges relate first, to the legality of the search (and therefore the admissibility of the evidence) and secondly, to what evidence exists of your “control” over the marijuana grow operation and hydro bypass in question. Other, less common defences may arise as well in the circumstances of your individual case. The statement above is not legal advice. It is simply intended to give a very general understanding of this offence and some of the possible issues and defences that might be considered in defending it. For legal advice on marijuana grow operations, click here.